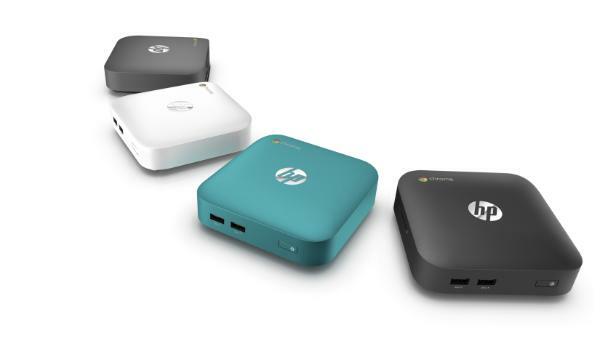 HP has just announced a Chromebox! We have heard rumblings of Chromeboxes in the past however, one has yet to appear on a shelf nearby. ASUS also announced its own Chromebox this week and it seems both devices will be competing against each other fiercely. So, we should really be getting used to seeing them. Specs and features are very similar between the HP and ASUS desktop Chrome OS unit, but it doesn’t seem like HP is offering a lower-end device. Three USB 3.0 ports, HDMI and DisplayPort adapters, and a VESA wall mount will feature as standard across the range. In a nod to their Chromebook line-up HP are offeriung four different coloured designs will be available, all with artsy fartsy names: Smoke Silver, Ocean Turquoise, Snow White and Twinkle Black. We don’t know much else about other specs for now. We are not even sure what kind of processor the regular version will have, but it will be a Haswell processor. If we base it on ASUS’ hardware, though, it should be either an Intel Celeron or i3 processor.